The International Family Equality Day is a celebration of family diversity. Its a day of celebrating, socalizing and reaffirming that we are strongest standing together. 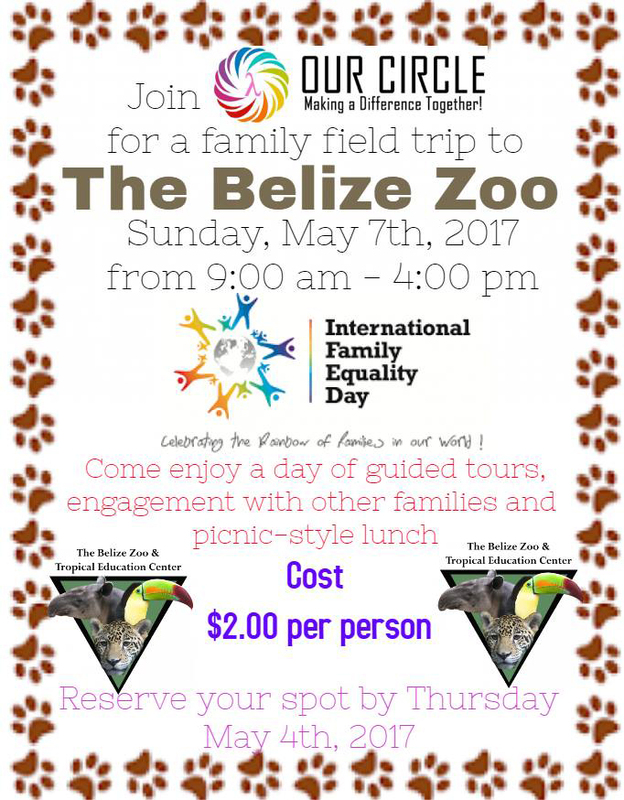 On that day, join Our Circle at The Belize Zoo on International Family Equality Day for a family fun day with the EVERYONE. This is simply a fun day to be surrounded by community and enjoy the zoo.